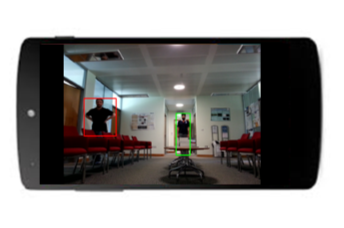 SARIVA is a state-of-the-art autonomous video analytics smartphone application built for the Android OS. It is designed to meet the increasing demand for smart and efficient applications that make use of the ever-growing streams of video data available in modern society. The primary feature of SARIVA is the detection of visual novelties using the video stream from a smartphone’s optical camera. The app automatically separates the interesting and novel objects from the background scene. Novel objects are classed as those which are non-stationary - for example, people, cars, bikes, lorries and animals, moving through a given scene. The detected novelties can then be identified, classified and tracked. 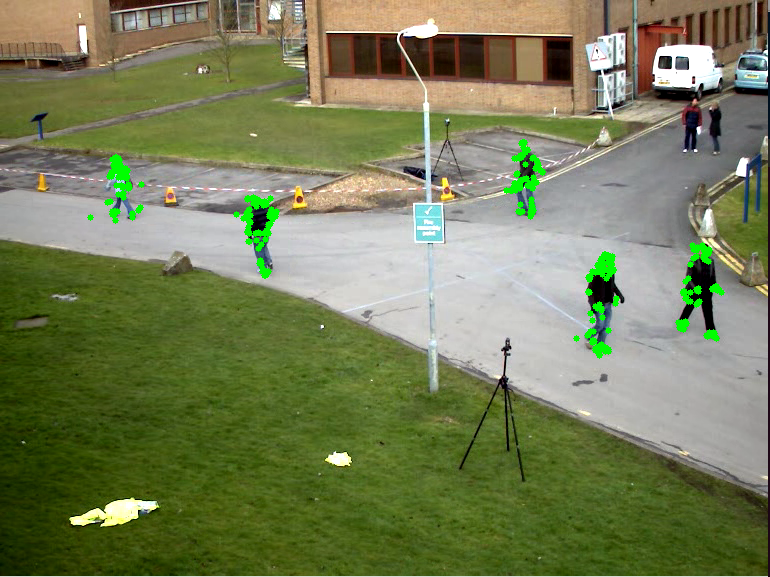 The algorithms behind SARIVA provide a fast and computationally-efficient first step to completely autonomous video-analytics - namely, that of detecting and clustering novelties. The technology behind SARIVA can be used for various applications, ranging from home and commerical security to wildlife monitoring. A selection of possible applications are listed below. One of the main featurs of SARIVA is the ability to communicate (in real-time); via wifi, with a server application when it encouters any novelties, which are then stored externally on the server as video files. This is demonstrated graphically below. SARIVA employs cutting edge proprietary IP implemented in a form of smart algorithms. These were developed within the Intelligent Systems Research Lab, Data Science Group at InfoLab21. The main algorithms employed are listed below. Recursive Density Estimation (RDE). A computationally fast and efficient pixel-wise method of detecting visual novelties, patented. Recursive Total Sum Distances Density Estimation (RTSDE). RTSDE builds on RDE but uses integers only and removes division — it's an even faster and more robust algorithm, developed specifically for video analytics. Optical ORB. A very fast method of detecting novelties, which accounts for when the camera is moving. Indeed, one of the main challenges in novelty detection is accouting for camera movement. ELM (Evolving Local Means) Clustering. ELM clustering is used for identifying objects. Specifically, it is used to distinguish one from another and is an essential step before object identification and/or tracking. Optical Orb algorithm in operation. Green dots specify the identified novelties. RDE algorithm in operation. 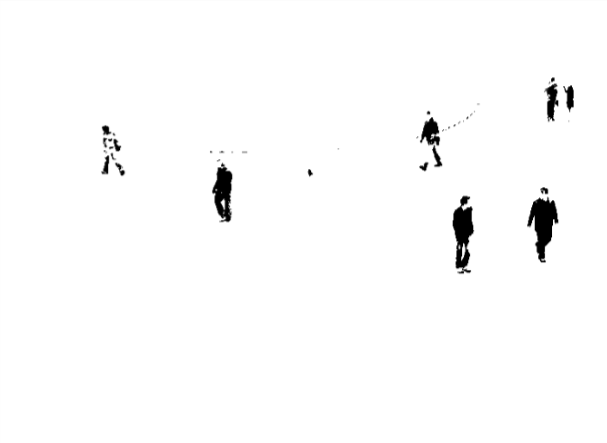 The black dots are novelties (here, people), while white specfies the background. ELM algorithm in operation. 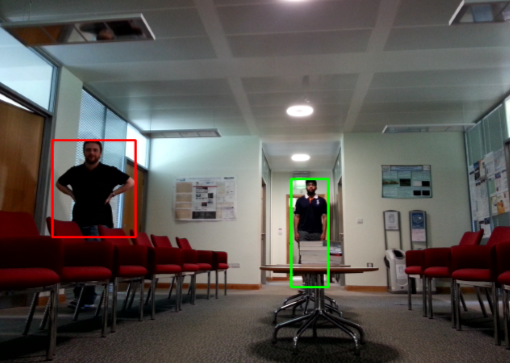 In this scene, 2 people have been detected and clustered (specified by the coloured box around each person) using ELM. 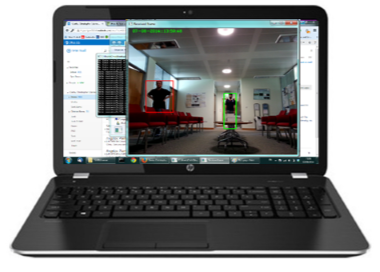 SARIVA is a project developed at Lancaster University's Intelligent Systems Lab and funded by Lancaster University. Developed by Prof. Plamen Angelov (Principal Investigator), Majid Yusuf and Chris Clarke.